Make Your own Decor Sugar packs – Free File Friday. 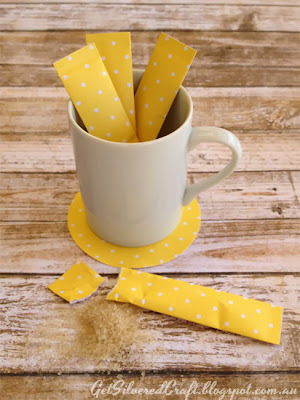 Make these pretty Sugar wrappers to match any theme for a Party, Tablescape, Room Decor or Wedding – pretty much anything, using any pretty paper you like. When entertaining and the guests are about to arrive – never mind the important things like preparing food or making sure the bathroom is clean – get your priorities in order and make sure that the sugar packs co-ordinate with the tablecloth! Ha Ha 😉 Not really, I’m sure you’ll be more organised than me and make these up in advance! 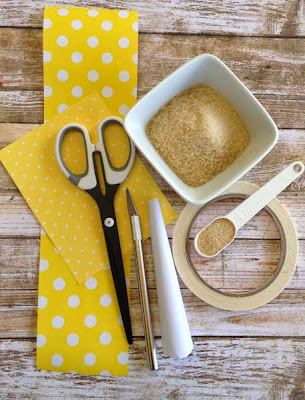 Gather your Supplies: Pretty Paper ~ Scissors or a Silhouette Cutting machine ~ Double Sided Tape ~ Rectangle of white paper to make a funnel ~ Measuring spoon or teaspoon ~ Sugar ~ Exacto Knife or Sewing Pin. Roll up the rectangle of white paper to form a cone shape and secure with tape. Snip the thin end of the cone to make an opening big enough so the sugar will flow freely through, but small enough to fit in the sugar pack which will be about 2cm or 3/4 inch wide. Set the cone aside for later. On the wrong side of the patterned paper draw 5cm x 10cm rectangles. 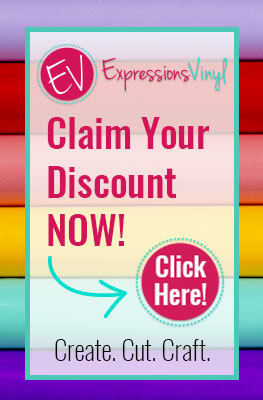 If you have a Silhouette Cutting Machine there’s a link to the Studio cutting file at the end of this post. No machine? No worries as scissors will do the job just as well! If you don’t want to hand draw your rectangles, you can use the A4 or Letter size PDF Templates and print out the rectangles on the back of the paper instead. Apply Double Sided Tape to the wrong side of the paper as shown in the diagram below. Leave the backing paper in place. 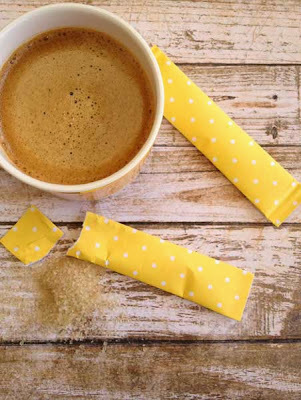 Now unfold the paper and apply tape to each end between the fold line……..
Now take the paper cone and insert it into the open edge of the pack, measure and pour in your sugar. Remove the cone and then remove the backing from the last piece of tape to seal your packet. It’s a bit fiddly to remove the last piece of backing paper. If it gives you any trouble use the tip of a sharp knife or your exacto to lift it off. I’ve used a dressmaker’s sewing pin too! Optional – If you have a paper corrugator you can crimp the ends of the pack, but this isn’t totally necessary. The Studio File and PDF Templates links are below. The Cut file & printable templates do not include the fold lines. Use the placement of the top tape as your guide to folding. 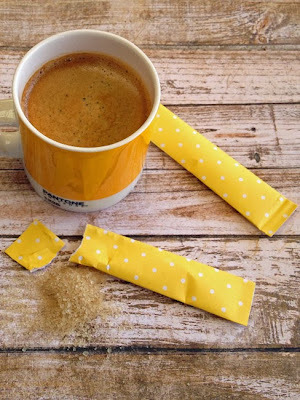 I’ve done it this way so that there is no ink on the inside touching the sugar. Cute little project! The possibilities are endless. I love my party decorations to be matchy matchy. Thanks for the free cutting file. Thanks Glenna, Yep, I like coordinating everything too! These are just so cute! I love them 🙂 Pinning now, can’t wait for a perfect occasion to try it out! Thanks for sharing! Thanks Hannah! They are fun – I’m planning some Chritmas one’s at the moment. Oh my goodness, how fun is this?! This would be PERFECT for a wedding or baby shower or a ladies’ tea party! Pinning this so I remember to try it the next time I’m throwing a shower for a friend. Thanks, Pam! Thanks Lauren, Yes, I know, there’s endless possibilities isn’t there? Shame I’m trying to cut back on my sugar intake! I love these! I might make some branded sugar packet for guests or to hand out at events! What a sweet idea! Thanks! Great idea to brand them Lisa.